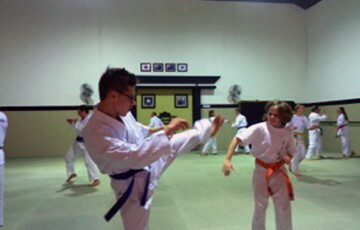 During April-May we held a sparring course at Hombu for orange belt juniors and all seniors. At the sparring course, I learned to protect myself, keep my hands up and use them more, and to move around. I feel I am more prepared for when I am sparring with other students, especially higher belts, even though I am still only a beginner. I had a lot of fun while I was learning. Get started with your first Taekidokai class today!